Last week Becca & I visited Kentdown Artisan Meats to have a look at their cured meats range. I’d visited previously when we started getting lamb and pork meat from them, but I’d seen the charcuterie hanging up and thought they’d make a great addition to our range. I love cured meats, but have found… Read More Kentish Salami? Oh yes…. Why Eat Fruit & Veg? Everybody says you can’t beat fresh veg but I’ve often wondered how they know? It is pretty common for somewhat dubious claims to be made about our food and I can understand why people get confused and in the end switch off; we all become a bit cynical right? I know I sit at home… Read More Why Eat Fruit & Veg? 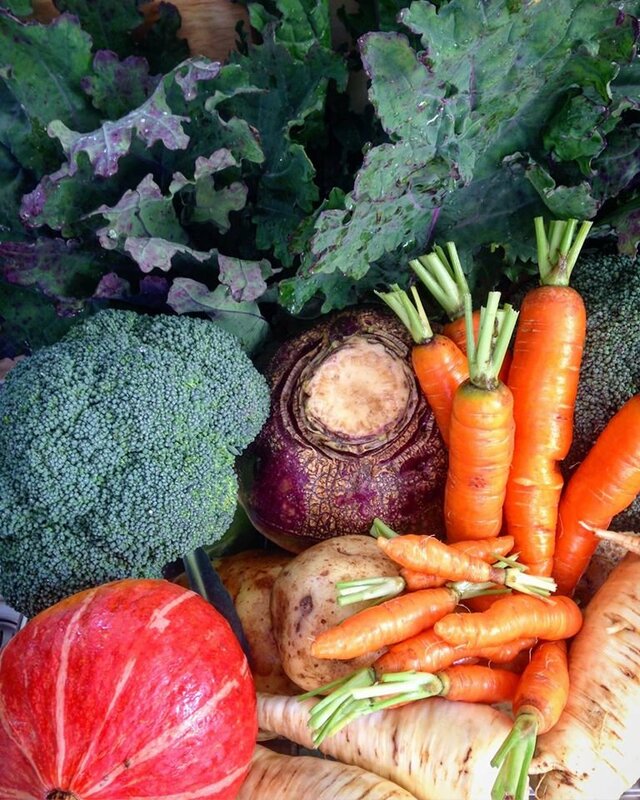 Order a Veg Box with 50% OFF!